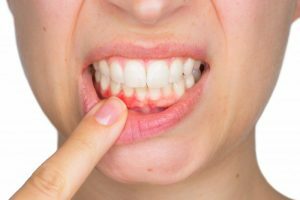 While bleeding gums can sometimes be caused by brushing or flossing your teeth too vigorously, the culprit is often gum disease. What does the latter entail, though, and how can your oral health be restored? 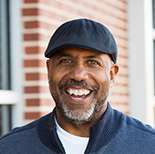 Learn about two available methods of gum disease treatment in Arlington Heights and how you can regain a normal life with help from a local dentist. 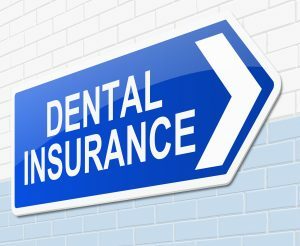 Every month you pay premiums for comprehensive dental insurance to keep your smile healthy, but are you using your policy to its full potential? On average, less than 3% of Americans meet or exceed their annual coverage. This results in billions of dollars lost every year. If you still have remaining benefits, now is the time to visit your dentist in Arlington Heights. On December 31st, your insurance expires. If you do not use it now, you will lose it. 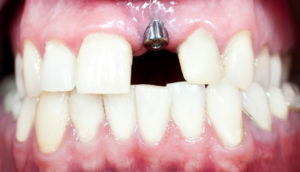 If you’ve replaced missing teeth with dental implants, there’s a good chance that you’ve already gotten used to the many benefits they offer and want to make every effort to maintain them. 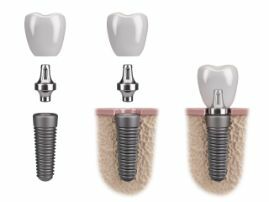 That’s completely understandable, since dental implants in Arlington Heights look, feel and function more like your own teeth than any other option. But, as with anything in life, sometimes implants get damaged and need a little extra work. Fortunately, there are several procedures that can repair damaged implants so that you can continue getting many years of enjoyment from them. Keep reading to learn more! 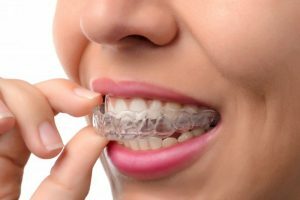 While younger patients have the option to choose an orthodontic treatment that works for them, parents only had cumbersome metal braces to shift crooked teeth. 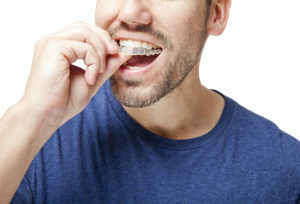 As a result, many patients who want to fix their smile as an adult are choosing Invisalign in Arlington Heights to make their smile more attractive and healthier. If you’re wondering why so many people are choosing clear aligners to shift their smile, or you want to learn more about treatment for yourself or another family member, keep reading! For more than 50 years now, Costello Dental Excellence has been a part of the Arlington Heights community. While we have a brand new office equipped with comfortable and modern amenities, our core values remain the same. 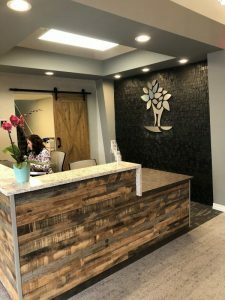 Our office is dedicated to delivering gentle, attentive dental care that focuses on our mission to deliver dentistry service that is caring, positive, professional, and team-oriented. We truly care about each patient we treat and take the time to get to know all of them and their oral health care needs. We all experience challenges on a daily basis, but at Costello Dental Excellence, we’re dedicated to meeting every challenge with a positive attitude and commitment to improving the dental care experience for every patient. Every member of our team completes continuing education courses to stay up to date on all the latest in the dental field, ensuring exceptional care for every patient. Finally, every member of our team works together to make the dental care process seamless from start to finish. Our team members never take a “that’s not my job” approach to care. Instead, we help each other and help our patients any way we can. Your Dentist in Arlington Heights Has Moved into a New Office! 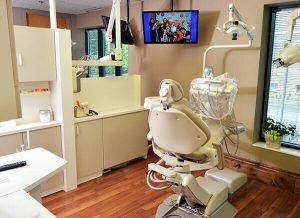 Recently, your dentist in Arlington Heights has moved into a brand-new state-of-the-art office, fully equipped to serve our patient base. Whether you’re an individual or an entire family, you can still expect the same friendly service and personal care we’ve been offering for half a century! At Costello Dental, we put a large emphasis on preventive care, being family friendly, and making dental services affordable and convenient. We hope that you, your family, and any new patients looking for care enjoy our new space! If you’re on the market for choosing a dental practice in your area, you’ll quickly find that looking for a dentist in Arlington Heights isn’t the easiest tasks. After realizing that your child needs a dentist that can handle pediatric care, a specialist for your partner’s unfortunate gum disease, and a dentist that understands orthodontist for your teen’s smile, you’ll start to anticipate being pulled in all different directions for your family’s dental care. Thankfully, when you visit a practice that has the specialists and a cosmetic dentist in Arlington Heights all in one roof, you can make one visit for everyone you love! Learn more about why it’s best to visit a dental practice that takes pride in being a “one stop shop” for your dental care in this week’s blog post. After years of being denied the quality of life that you deserve, you finally made the decision to have dental implants surgically inserted. One of the most attractive things about this procedure is the fact that the implants are screwed into your jawbone, which is the best option you’ve discovered thus far for a solid and dependable structure. But you’re disappointed to notice that one of your implants feels loose. Thankfully, your restorative dentist in Arlington Heights has some advice about what you should do. Sociologists note that at the turn of the 20th Century, the world moved from what was previously the Culture of Character to the Culture of Personality. In this new phase, there would be more emphasis placed on the significance of physical appearance. Supporting that shift, studies show that the condition of your teeth play a major role in how others perceive you, as people with straight teeth are 45% more likely to get a job than people with crooked teeth. 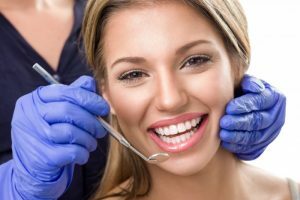 Therefore, your cosmetic dentist in Arlington Heights has information on how dental aesthetics can help you achieve the look and success you desire. Want to look more attractive? Then have your teeth straightened… But you probably already knew that a well-aligned smile looks better than a crooked one. Did you also know that a straight smile would make you look smarter, more successful and more popular? It’s true. There are studies to prove it! If you’re ready to improve your appearance, your oral health and your outlook on life, then consider Invisalign in Arlington Heights.